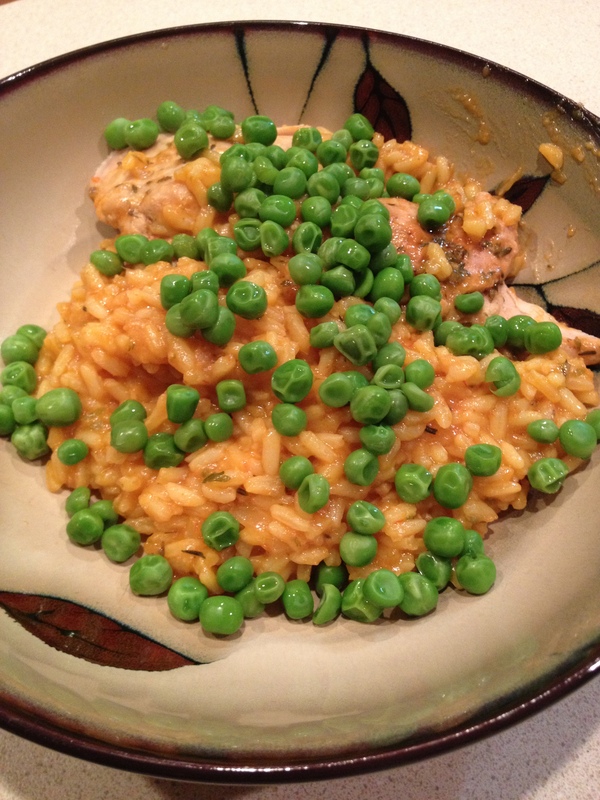 I love Cuban Style Chicken and Rice (aka: Arroz con Pollo). 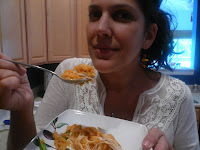 It brings back sweet memories of Abuela (my grandmother) cooking in the afternoon. Her memory lives on forever in my kitchen. I make this recipe often and traditionally use bone in chicken breasts in order to infuse a rich flavor onto this dish. Although, using bone-in chicken takes longer to cook, not to mention the kids hate to deal with cutting the meat off the bones. To simplify and speed up the cooking process, I suggest to use boneless skinless chicken breasts or boneless skinless chicken thighs. The key here for added flavor and keeping the chicken moist is using beer during the beginning part of the cooking process. Basic steps are to sauté the sofrito (onion/garlic/pepper mixture), sear the chicken, then allow chicken to cook in the beer for about 5 minutes. Following the final steps of added the liquids, spices and rice and allow to cook for 20-40 minutes. This is a great weeknight meal and reheats well. Perfect for those busy evenings filled with meetings and activities. Make early, or the night before, and just reheat as needed. Prepare the sofrito: place onion, garlic and pepper in a food processor or small chopper and process for about a minute until minced. Set aside. In a large heavy bottom stock pot heat olive oil, sauté sofrito over medium-high heat for about a minute. Add chicken breasts and sear on each side for about 1 – 2 minutes. Add beer, reduce heat to medium and cook for 5 minutes. Add chicken broth, tomato sauce, Bijol, and about 1/2 – 1 tsp of Kosher Salt. Stir to mix ingredients. Add rice, stir again. Raise heat to high and bring mixture to a boil. Once boiling, reduce to low, cover and simmer for about 30 – 40 minutes, or until all liquid is absorbed. Remove from heat and let sit for about 5 minutes. Serve and eat! Top with cooked peas and roasted red peppers if desired. Making this for my friend Julio who will turn 70 something. He is a barber who has been in the USA for 50 years. He doesn’t want anything for his birthday, much less want anyone to know it’s his birthday. He comes to the neighborhood watering hole to play dominoes on Friday and we always bring dip or cheese & crackers. I want to surprise him with this dish and flan for dessert. Thank you for this recipe!